Wreszcie polska wersja i wersje mobilne mojego ebooka są gotowe! Jeśli chcesz dostać mój ebook, proszę zasubskrybuj mój blog! Ebook available for e-readers (like Kindle) and in Polish! It's been great to hear everyone's thoughts about the ebook since I published the English version last week. I'm positively thrilled with the response that I have gotten so far! Versions for mobile devices and e-readers! Today, I'm happy to announce that you can now read it on your mobile devices and e-readers, like the iPhone, iPad, Nook or Kindle! If you are subscriber, you should already have received an email about how to download the ebook in not only PDF format, but also EPUB and MOBI. Thanks to everyone who help BETA test those files! Also, with the help of several LinguaTrek subscribers, the ebook is now available in Polish! This really took much more time and effort to produce than I thought it would! Luckily I had the help of many wonderful volunteers -- without whom, I don't think I could have ever finished it this quickly. Thank you so much! If you want to receive your copy, please subscribe now! Check out the new cover design my wife created! It ended up being 104 pages in PDF format - a little bit longer than my guess of 40 pages. 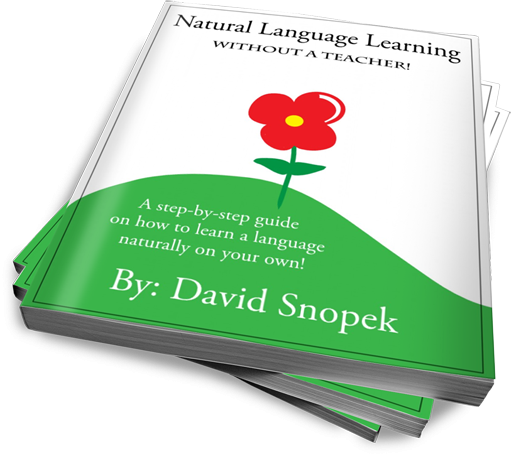 ;-) The ebook consists of 13 chapters in two parts (a theory part and a practical part) as well as 4 worksheets to help you create the perfect language learning method for you! Check out this article for more information about what's in the ebook, as well as these two excerpts: Planning your daily routine and 3 steps to speaking a language fluently. The theory part consists mainly of rewritten material that I've previously published on my blog. But almost all of the practical part is completely new! As a software developer, I never really imagined that I'd end up doing this much writing, let alone writing a whole ebook. :-) While it was definitely harder than I expected it was also much more enjoyable. I can't wait to hear what you think! Read more to find out how to get it and what's next! Note: This article is a follow-up to this article from 2012-04-06. In my last blog post (published on Good Friday), I told you about the free ebook I was thinking about writing, and I asked you to fill out a survey telling me if you wanted it. I said that if 300 people wanted the ebook, then I would write it. 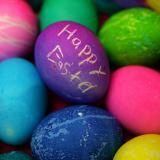 By around noon on Easter Sunday we just barely topped 300 people! And I was very happy. :-) But then, right before we were about to leave to celebrate Easter with my folks, something AMAZING happened! My Polish video about this ebook appeared on the front page of Wykop.pl (the Polish equivalent of Digg.com)! Later that evening (when we got home) I checked the numbers again. Hundreds of new people signed up for the free ebook! In total, almost 1400 people have said they want to receive it when it's finished. Thank you so much to everyone who signed up and thank you to everyone who voted on Wykop. Read more for a short note about what's coming next! Just follow the guide to Language-ville! Photo by Kevin Jaako. I receive a lot of emails and comments asking me for advice on language learning. I respond to all of them, so when I notice that I've answered the same question a lot, I try to write an article about it on my blog. That way, when someone asks me that question again, I can point them to a well-polished article, instead of having to come up with a completely new explanation in the 5 minutes I have to respond to their email. The article I wrote a couple weeks ago about the importance of listening is one example. However, I got some really great questions in the comments which helped me realize that I left out a very important piece: how to listen, when you don't yet speak the language very well. Eventually, this will end up becoming a new article. But wouldn't it be great if I could just have a page somewhere that includes all of my thoughts about listening? As new questions or ideas come up, I could continue to refine it. This got me thinking that maybe I should be compiling a language learning guide, that covers my opinions about how to learn a language effectively, lots of tips, and the basics of my method. Read more for my thoughts and let me know what you think!